Neil Gaiman’s collection Trigger Warning, reviewed. Neil Gaiman’s collection reminds us that, for good and for ill, he’s got a lot of stories to tell. The world of Neil Gaiman is not our world, exactly, as readers of the Sandman comics and the novels American Gods, Coraline, Anansi Boys, and The Ocean at the End of the Lane well know. The worlds he navigates in his new collection, Trigger Warning, surely aren’t ours. But they aren’t always his, either. “Many, perhaps most, of the stories in this book,” he freely admits in his garrulous introduction, “exist because other authors, other voices, other minds, have existed.” That isn’t just a generalized tip of the hat to writers he loves. Among the two dozen stories and poems here, an unusual number are tributes, pastiches, or, in some cases, miniature fables inspired by art objects made by someone else. There are stories written in honor of—and at least arguably in the style of—Ray Bradbury, Arthur C. Clarke, Gene Wolfe, and Jack Vance; a story to accompany fashion drawings of David Bowie; a story from a book of photographs of his wife, the performance artist Amanda Palmer. There’s one about Sherlock Holmes, and another about Doctor Who. In Trigger Warning, Neil Gaiman is largely a tourist, a stranger in other people’s strange lands. Nothing wrong with that, of course. Gaiman’s fiction has always had a sort of wayward quality. He’s willing to set his characters adrift in big weird worlds just to see where they’ll end up, and he’s perfectly happy, too, to whisk them abruptly to someplace else entirely; in his stories the borders between dimensions, cosmic realms, whatever, are not very diligently patrolled. So it’s not unusual, in a Gaiman book, to feel a little jumpy, as if you were being herded from one place to another by a zealous guide on a tight schedule. When, as in Coraline and The Ocean at the End of the Lane, the protagonists are children, this distracted sensation feels right: It takes you back to the disorderly imagination of youth. Gaiman’s mind is, I think, genuinely childlike: He can believe pretty much anything for a few minutes, at least, and when he’s on form he can make his readers believe it, too. And then he turns his belief to something else. Serial believers of Gaiman’s caliber are fairly rare. He’s prolific, like Stephen King, and apparently inexhaustible: He dreams up stories as naturally as he breathes. But reading Trigger Warning, you might wish that storytelling came a bit less easily to him. Impressive as his range of styles is, this new collection feels, from time to time, arbitrary—as if this talented writer were simply doing exercises, to no particular purpose. 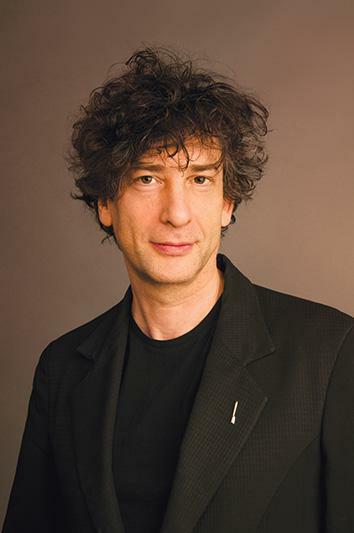 “There’s always that fear of writing too much if you’re a reasonably facile writer,” Gaiman said in The New Yorker a few years ago, “and I’m a reasonably facile writer.” Clearly, he’s mastered that fear. If all you need is a story, any story, Gaiman’s got one for you. The whimsical-romance category is nicely covered by “The Thing About Cassandra,” in which a teenager’s imaginary girlfriend materializes years later and meets her imaginary boyfriend—him. (It’s the love story of two people who are, in a sense, real only to one another; the relationship doesn’t work out.) For Tolkien-like adventure fantasy, Gaiman serves up “ ‘The Truth Is a Cave in the Black Mountains…’,” in which a tiny Scot searches for treasure in someplace called Misty Isle. There’s a pitch-dark riff on Sleeping Beauty, in “The Sleeper and the Spindle,” and a funny, alarming little anecdote called “Orange,” about the perils of a fake suntan. The Holmes story, “The Case of Death and Honey,” turns out to be an odd meditation on immortality, as if the great detective were somehow investigating his creator’s notorious obsession with spiritualism. The Doctor Who tale, “Nothing O’Clock,” is straight pastiche, elegantly executed; it’s more fun than most of the TV series’ episodes, including the two Gaiman wrote himself. After a while, though, the offhand virtuosity of Trigger Warning can begin to feel like too much of a good thing, an overdose of recreational yarn-spinning. Your ear is being bent by a master, but at several points in the book a weary closing-time feeling sets in—the sense that your life has been hijacked by a compulsive storyteller, a perpetual-narration machine. But just when you’re tempted to give up hope, Gaiman reminds you, forcefully, why his voice is worth listening to. The novella “Black Dog,” which ends the book, is a lovely piece of high-English horror fiction, beginning with spooky tales in a country pub and winding its way through the damp and the fog to a creepy, satisfying genre epiphany. The story is set in one of Gaiman’s own created worlds, the volatile landscape of his 2001 novel American Gods; its hero is that book’s bewildered wanderer Shadow Moon. 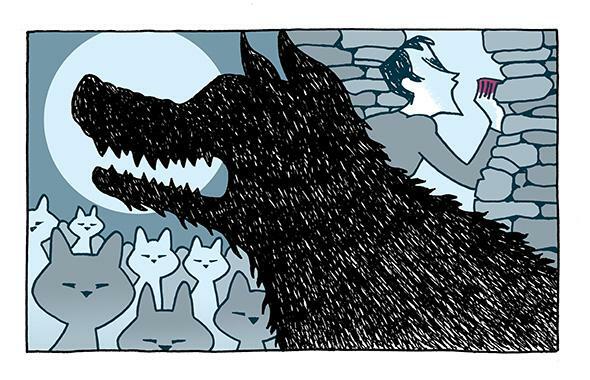 “Black Dog” is in its writer’s best anything-can-happen mode, and it takes its time, savoring the tentative, death-haunted atmosphere: The story, as its title suggests, is in part about depression. After seeing the “spectral ghost-hound” of local legend, one character lapses into a prolonged funk—equal parts guilt and fear—and the landscape turns melancholy, ominous. In the end, only a kind of magic (if you can believe in it) is able to set the world right. This isn’t a country the writer is visiting, but the one he lives in. After all the side trips Neil Gaiman takes in Trigger Warning, it’s a pleasure to find him back on home ground. Trigger Warning by Neil Gaiman. William Morrow.